the canDIshhh tales: Summer Family Fun Day with MOTT'S! 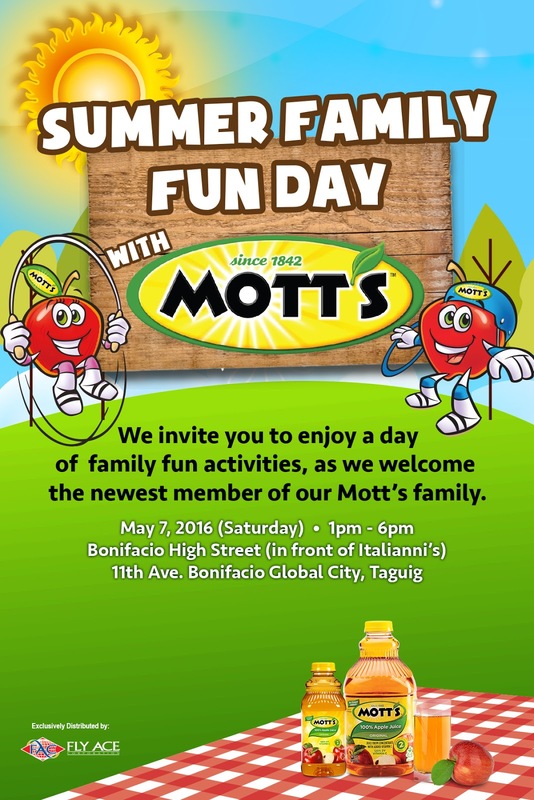 Cool off this summer and enjoy these activities lined up by Mott's Apple Juice. The program will officially start at 3 PM but you and your family can enjoy a lot of family bonding moments through these activities set-up as early as 10am on the same day.